The Scan Group, Inc. Finishing & Mailing Services - The Scan Group, Inc.
Creative and functional finishing and mailing services can make all the difference! 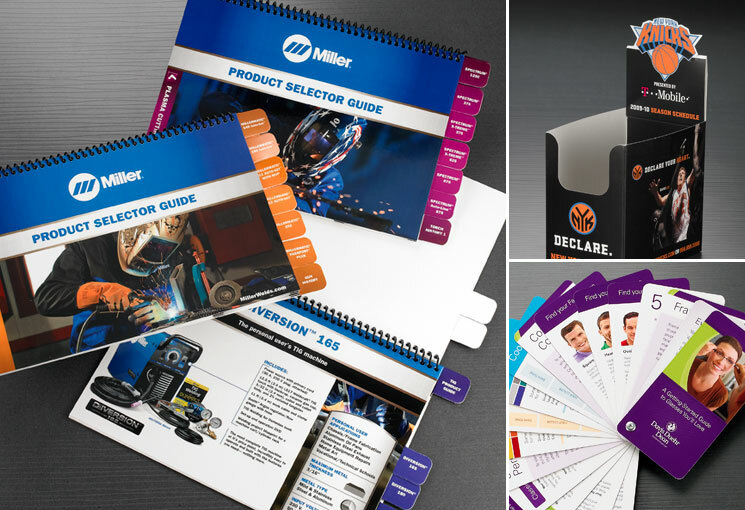 We offer a the full range of options including die-cutting, binding, fugitive gluing and assembly. Clients count on us for kitting services with complex mixtures of custom-printed and inventoried components. The right mix of automation, technology, knowledge and capacity creates a winning formula for your mailing project. We provide it all in-house: inkjet addressing, folding, smart insertion, video capture for quality control. Plus, we tray, tag, and bag mail according to the US Postal Service standards so it is ready to enter the mail stream when it leaves our building. You win with accuracy, speed-to-market and postage savings.